Saturday 1PM brings us a tasty top 6 clash as Middlesbrough battle Marcelo Bielsa’s Leeds United. 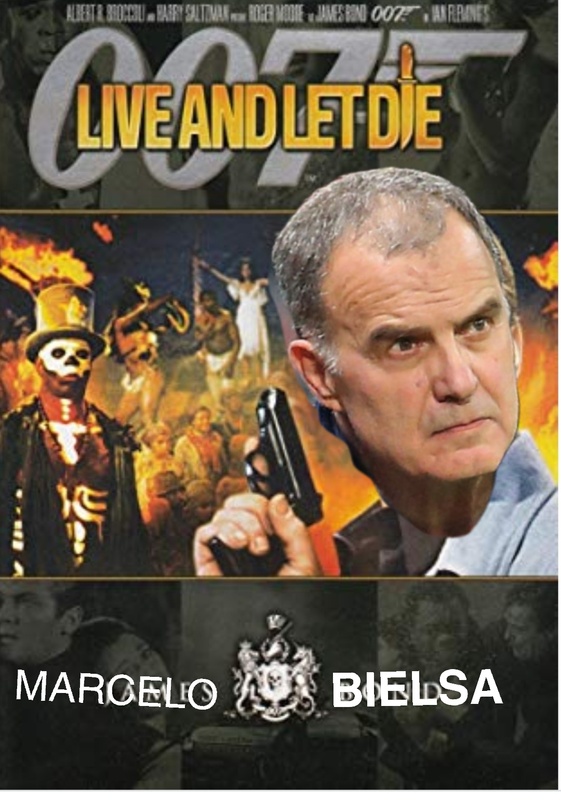 Can Bielsa ball get the better of Dr. No (goals) and his band of Boro giants? Do we have to hope it’s not muddy so that our players don’t get scared? Who was that mysterious man hanging around Rockcliffe park? All questions that will be answered at the Riverside. Leeds are in a rough patch of form having lost 3-1 to Norwich last weekend, whereas Boro have just suffered a humiliating defeat at the hands of league 2 Newport, a win in this fixture would put us 4 points behind Leeds and their automatic promotion spot with a game in hand. The last time we welcomed Leeds to the Riverside, Patrick Bamford scored a hattrick as we strolled to a 3-0 win, we’ll be hoping that Bamford doesn’t repeat his antics. We are a few places up the table compared to where we were in that fixture last year, whereas Leeds now sit in the automatics. Will Van La Parra start this game? Will Pulis put out the same XI as the West Brom game? Who would you play and where? Will we ever win a game that Shotton hasn’t started? Less than ideal preparations ahead of the Leeds game with the Boro squad not getting back to the training ground until around 7am yesterday after the planned flight back from Cardiff was cancelled. Less than ideal preparations with the delayed return. Also, I imagine that if we give Leeds the space and freedom first 15/20 minutes along with a goal, the atmosphere could turn very nasty very quickly, maybe this wouldn't be the case after Saturday, but then Newport happened so i think we are back to square one. Literally all to play for one of those games that we can do ourselves a real shot in the arm by winning and especially with a game in hand, but we never seem to be able to do that do we? First goal will be crucial in the game, if we score first then I believe it will have some baring on Leeds, they score first and then goodness knows because we simply do not come back and win a game at all! What a terrible record that is this season and just why does it not happen? In saying that a 0-0 score line is on the cards but Leeds will get after us straight away. Will be very interesting just what attitude our players show and if they are really up to a fight but in some ways I wish this was an away game due to the appalling home record of late. Can we do ourselves a favour I wonder? (07-02-2019, 10:25 AM)Downsouth Wrote: Literally all to play for one of those games that we can do ourselves a real shot in the arm by winning and especially with a game in hand, but we never seem to be able to do that do we? I have ZERO confidence for this game, I expect us to be out played, out fought and ultimately beaten 0-2. Boo'd off at the end and there will be hell on in town. (07-02-2019, 10:35 AM)Notts_Smog Wrote: I have ZERO confidence for this game, I expect us to be out played, out fought and ultimately beaten 0-2. Good OP Foogle. I'm really hoping for two things on this (1) No delay to my flight as I'm due to land in Newcastle at 11am so it will be tight anyway. Thanks to the local bobbies for bringing the game forward 2 hours and of course (2) A good home win for a change which will really keep us in the mix. If our players genuinely give their all, compete, demonstrate passion and a will to win, I can honestly say that I'll be disappointed with a loss but I'll live with it.